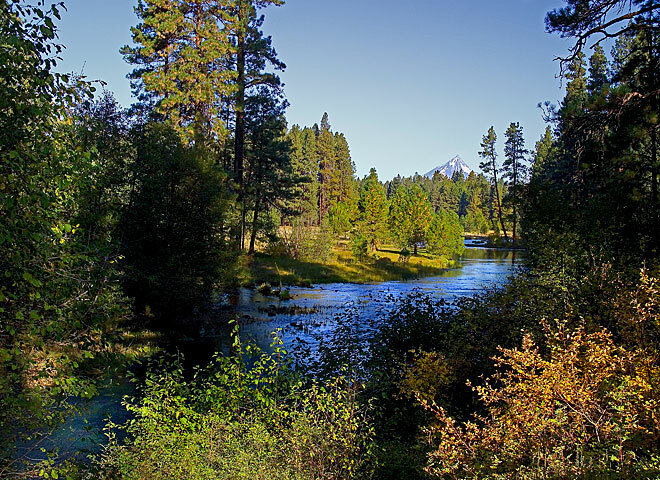 Just below the Metolius Springs we see the river run in front of Mt. Jefferson. Follow it down to Lake Billy Chinook behind Round Butte Dam.